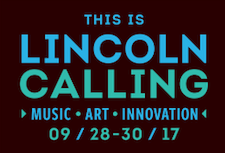 Last Friday the folks at Lincoln Calling (i.e., Hear Nebraska) announced the final line-up for this year’s event Sept. 28-30. “Closeness, Oquoa, Flowers Forever, Darren Keen, The Ambulanters will join headliners Charli XCX, Best Coast, Angel Olsen, along with Charles Bradley, Frankie Cosmos, Pup, (Sandy) Alex G, John Moreland and so many more of the country’s top emerging artists,” according to the press release. It is, indeed, a loaded ticket, with something special every night, Thursday (Frankie Cosmos, Navy Gang, Best Coast); Friday (Angel Olsen, Charles Bradley, UMM) and Saturday (Pile, Charlie XCX, Digital Leather). It’s going to make it hard for us Omahans to pick one night to drive down there. Day passes are $29 for Thursday and $34 for Friday and Saturday (per day). Three-day passes are $59 (plus $8 fees). Do the math. 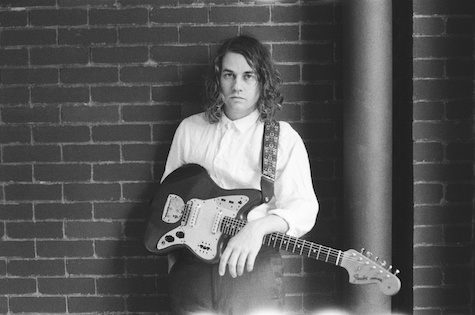 Tonight at Reverb Lounge it’s Kevin Morby, who’s Ten Question survey you read here last week. Morby’s new album City Music (Dead Oceans, 2017) is very good indeed, especially if you’re a fan of Kurt Vile-style songwriting. Shannon Lay opens at 9 p.m. $12. Before you read the answers to his Ten Questions survey, let me try to explain singer/songwriter Kevin Morby’s connection to Omahan Simon Joyner. Morby may be best known as the bassist for indie band Woods (though he also formed a band called The Babies), which has recorded seven albums on Woodsist Records, which has released albums by Kurt Vile, The Oh Sees, Real Estate aaaand... Simon Joyner. In fact, Joyner performed at the label’s “Woodsist Festival” a couple years ago. So it’s a shame that Joyner won’t be at Morby’s show Aug. 28 at Reverb (because Simon’s currently on tour with David Nance). The good news is you’ll be able to hear Morby perform songs off City Music, his new LP on Dead Oceans Records. The album is an urban counter-point to his 2016 rural collection Singing Saw. That record pulled from Dylan and Cohen for influences, while City Music was influenced by Lou Reed and Patti Smith (and has similarities to Kurt Vile’s output). Kevin Morby: Skeleton Blues by Simon Joyner. Any song not by Simon Joyner. Having played with and met Simon Joyner. That I’m not as good as Simon Joyner. Omaha, Nebraska, because maybe Simon will come. Last night and everywhere that Simon Joyner was not in the audience. I am a full time musician to cover the bills, and devout Simon Joyner fan as hobby. Simon Joyner guitar tech is attempt. Something I’d hate to do is be a cop. That Simon Joyner lives there. Last night Brad Hoshaw played an acoustic set as part of the Mode Shift Membership Kickoff outside of Ted and Wally’s in Benson (you can still sign-up for Mode Shift here). It was good weather, a good crowd and a good time. Moments into his set, I thought of capturing Brad’s performance via Facebook Live (with Brad’s nod), which you can view below. It dawned on me that if an artist were to tap into the right Facebook channel, FB Live sessions could be an effective way to get their new music heard in a format unique from their recordings. Maybe after hearing a couple new songs from Brad’s just completed Four New Songs EP listeners will wander on over to bradhoshawmusic.com and buy the CD. The following live acoustic version couldn’t be more different than the well-produced studio recording (that features a full band, strings, piano, etc.). It’s also cool to see fans tap into the feed during the broadcast, from around town and around the country. There was close to 100 views during the live session; the session now has about 300 views… Check it out below.